I don’t like shopping but I do like buying new things. Shopping typically requires driving somewhere, searching for a parking spot, spending hours trying to find what I want/need and usually not finding it or spending hours trying on things that don’t really fit. So I’ve taken to online shopping whenever possible. I stick to the same stores where I know what size to order (which still doesn’t always guarantee a great fit). I was intrigued when my friend told me about JustFab for shoes. I love having shoe options but also don’t want to spend a ton on shoes – especially on styles I won’t wear frequently. They had a good deal for new members and some cute styles, so I decided to try it out. I ordered 2 pairs. I liked one and didn’t love the other (neither was amazing. but fine enough), but it wasn’t a problem because one of their big promos is free exchanges on any order – right? Long story short: their “simple” system to exchange – not so simple. It would not let me set this exchange up online (as it instructed on the invoice), so I chatted with a rep online who told me I actually could only exchange it for the same shoe (different color or size) because it was a final sale (NOWHERE did it say anything to that effect pre- or post-order), so I called that night and spoke to a rep who processed my exchange immediately no questions asked. Yes, in the end I got what I wanted. But they made it WAY more complicated than necessary. So….if you want some ok shoes at a decent price try it out – with the caveat that you may have to put some extra work into returning or exchanging them if you don’t like them/they don’t fit/whatever. There are better deals as a member, but it’s one of those deals that you have to skip each month or be charged a membership fee. So a little complicated, but I just keep a reminder on my calendar and avoid charges. Not a raving review but now you know what you’re dealing with. Maybe check it out a decide for yourself! Categories: Tickled Tuesday | Tags: JustFab, online, shoes, shopping | Permalink. So it’s been a while! I know everyone has been wondering where in the world I have been. 😉 It’s been a crazy month of traveling, buying a condo, packing, moving myself, moving work offices, and other miscellaneous fun summer activities. Want a peek?? A friend introduced me to this app: 1 Second Everyday. So here’s what my April 17 – May 18 looked like (yes, I know that was even a while ago – where is this year going??). You’ll catch a glimpse of some travels, packing, and moving. And this is exactly how the past month+ has felt….like a blur! I have a slew of post drafts, so I’ll go into more details about some of these. Definitely a cool app to check out if you are into video/photo stuff. Categories: Tickled Tuesday | Tags: 1 second everyday, life, video | Permalink. Being an aunt is the best. ever. This little guy turns 1 today – and what a fun, exciting, and adorable year it has been. And it flew. Sad I can’t see him today but we’ll be celebrating soon!! Happy Birthday Ben!! Categories: Tickled Tuesday | Tags: aunt, family, nephew | Permalink. I’m not a huge fan of raw nuts, but on the Whole30 that is a good quick snack when needed. I bought a giant bag of almonds at Sam’s Club and wanted to season & roast them somehow. 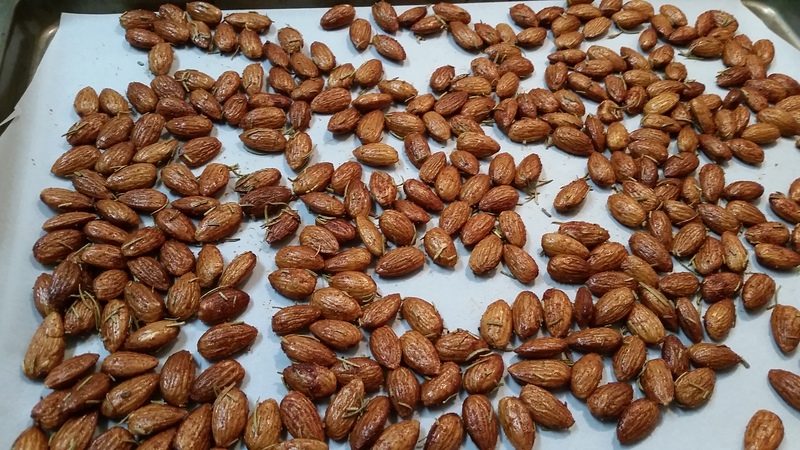 Most of the roasted almond recipes out there are for amazing cinnamon sugar almonds – which I obviously would have loved to do, but alas could not. But I did find this one with rosemary and a kick of pepper. They are delicious and easy to make! 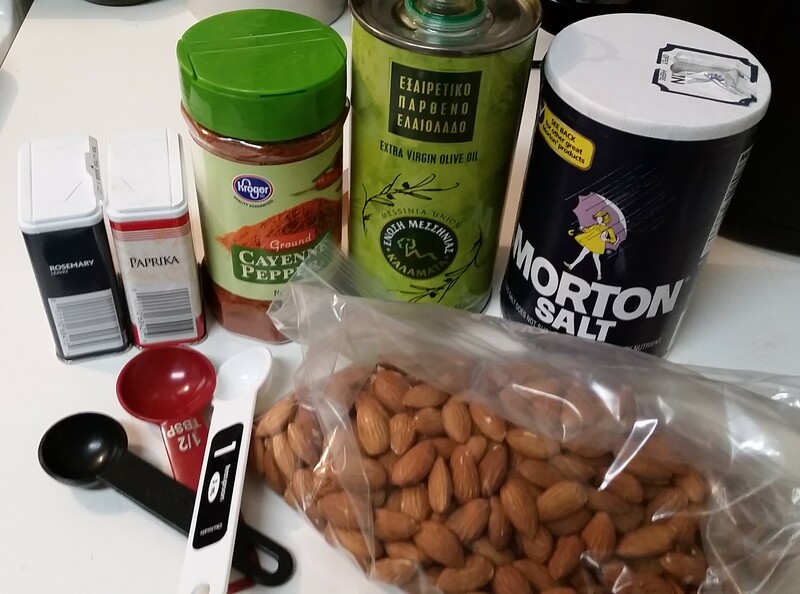 Place almonds in a large Ziploc bag, drizzle in the olive oil, and toss to coat. Sprinkle rosemary, paprika, salt and cayenne into bag and toss to coat. Spread almonds into a single layer and bake for 20-25 minutes or until lightly toasted. Let cool and store in an airtight container. Or I divvied mine up between snack size Ziploc bags. Categories: Tickled Tuesday | Tags: cooking, food, snacks, Whole30 | Permalink. #20 from my 30 before 30 list is done: see 2 new plays/musicals! I try to find fun things for my mom and I to do together around town – painting, pottery, wine tasting, shows, etc. And her birthday needed to be extra special. We both LOVE the movie Les Misérables but I had never seen the stage production. And luckily the local professional theater, Aurora, was doing it on her birthday! The story is such a huge production – so many settings, locations, time spanned – I was curious as to how it would come across on a stage, especially a smaller one. And let me tell you – I was completely blown away. Since it’s a professional theater, the talent was amazing. But it’s a small theater so it’s an intimate show. If you’re in Atlanta or east of the city, I highly recommend any show at the Aurora Theater – the couple of times I’ve been there have both been great. Les Mis is still one of my favorite shows, movies, and soundtracks and I’m so glad I got to see it with my mom! Categories: Tickled Tuesday | Tags: Aurora Theater, Les Miserables, musical theater | Permalink.